I saw another surgeon today and I was told there's a chance I won't regain full use of my left hand, so I made these flowers to see what I can actually do. At least I can make flowers! 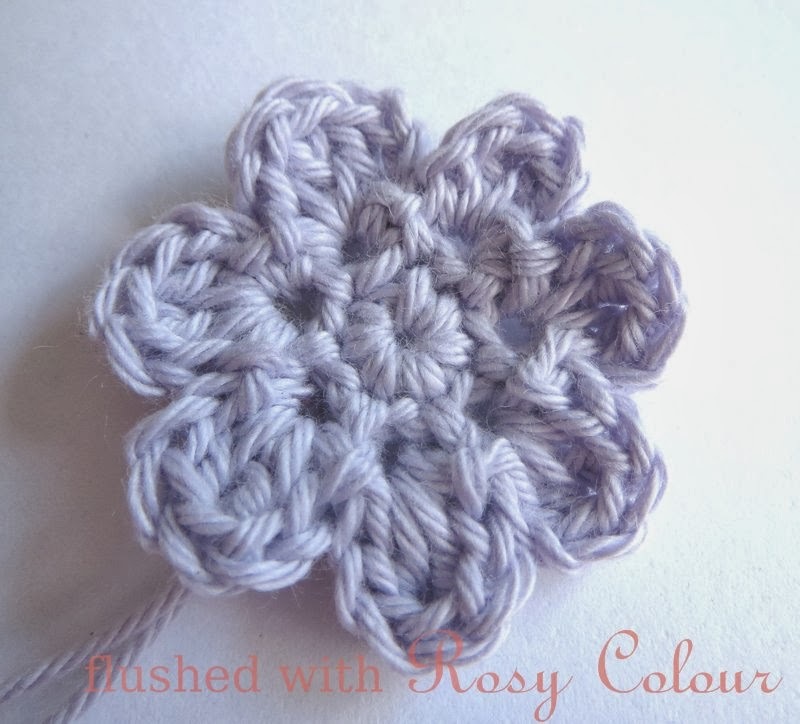 Here's the free pattern for this little 7 petal flower in 3 rounds. 3. (sl st into next ch sp, ch 2, 2 dc into same ch sp, ch 2 sl st into same ch sp) repeat for each ch sp to form 7 petals, fasten off and leave ends free so the flower can be attached to a craft project! Thanks so much for this pattern. 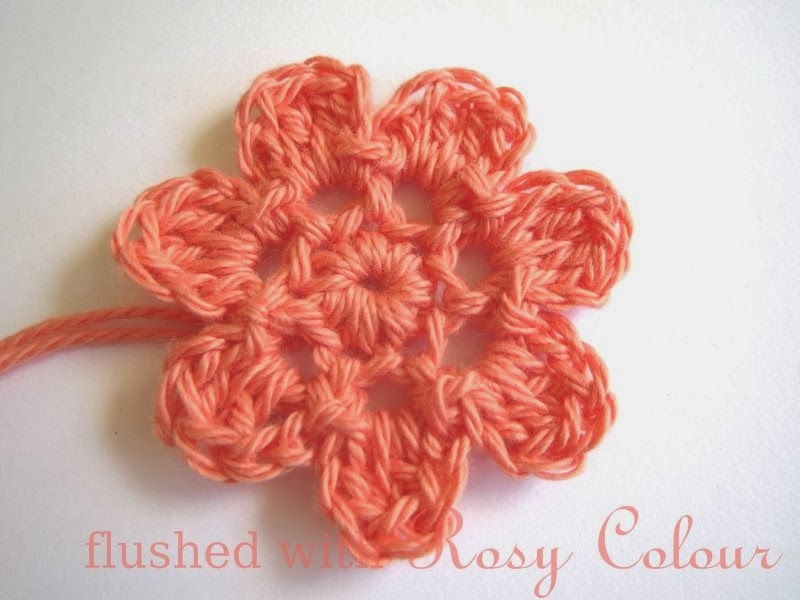 It's one I used while crocheting flowers for my spring wreath. I shared it on my blog and linked to your pattern. I'm glad you liked this pattern, thankyou for linking it at your blog. I went to your blog but couldn't work out how to leave a comment there. Thankyou!